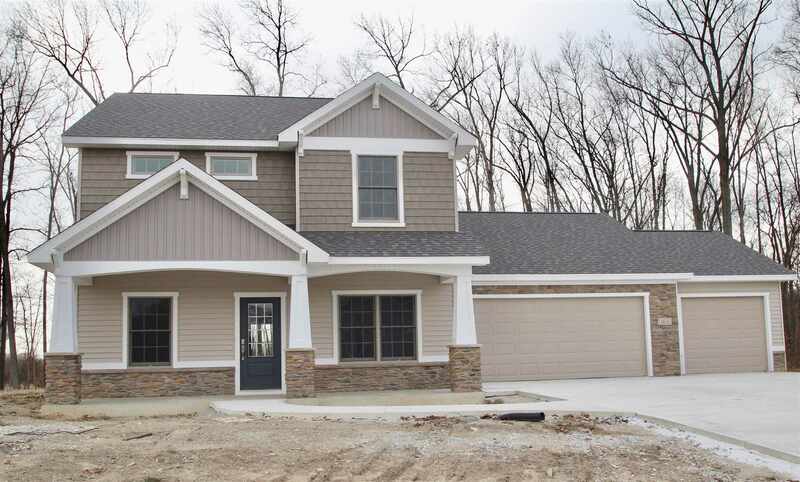 This custom built home by Bremer Homes has the perfect combination of space, farmhouse character and great location! In the NWAC school system with easy access to 69, this home has an open living area, 4 bedrooms, 2 1/2 baths and all the amenities you are looking for in your next home! The extra large 3-car garage enters into a mudroom with custom built lockers and a 1/2 bath. The kitchen has custom white cabinets to the ceiling, a large grey island with bar seating, tile backsplash, beautiful quartz countertops and a large e-granite sink. You will also find a large walk-in pantry with a stylish barn-door to organize your dry goods and house supplies in the kitchen. The kitchen is next to a large dining room with a ship-lap accent wall and also open to the living area with a cozy stone/shiplap fireplace. The main floor also has an office/playroom at the front of the home and storage under the staircase. All 4 bedrooms are upstairs. Each well-appointed bedroom has a ceiling fan and generous closet with custom shelves. The master suite has its own full bath with double sinks, tile floor, large mirror and large 2-story walk-in closet. The upstairs also has a full bath in the shared hallway as well as a linen closet and laundry room. The garage has floor drains and an extra large bay for a large truck, extra storage or tool bench. The front porch is covered and would be perfect for adding some rocking chairs to watch this kids play. The backyard has an open patio and the back property line is tree lined for some nice privacy. This home is loaded with everything our custom clients come asking for...but this one is ready today!